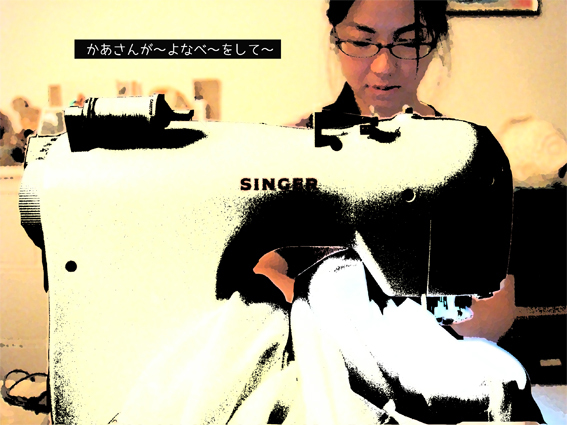 Do you know the brand for sawing machine, SINGER? It seems to be a big brand, but I didn't know that. I am ashamed to say that. Today I knew about it, and I had an impressiveness for this naming. SINGER means the person who sings songs. Namely this company likens the noise from the machine as "a sawing song", and they named the machine which is an origin of those sounds as a "singer". It is a great naming like a magic, because it changes a negative phenomenon into positive in one breath. An auditory memory which is unconcerned but precious is a symbol of daily life, I remind the bag my mother made for me. It is the spirit of design works. Well, actually it was my misunderstand, (truth is the name of founder: Mr. Singer) but there was a big change in my mind, it was a small meeting but it was also a big meeting.